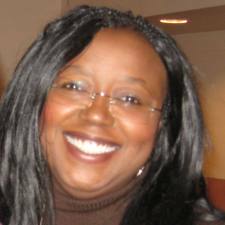 ← Welcome Paranormal Romance Author Sallie Lundy-Frommer! Author Interview Sallie Lundy-Frommer and Excerpt! Tell us about your life, where you live, why you write? Let’s see my life, where do I start? I went to elementary school in, oh you didn’t want that much information. (*Smile*) Okay, I’ll get serious now. I grew up in a huge family. Nowadays, the average American family is 2.6. And no, I don’t know what that .6 is. But, I’m the youngest of ten children. I have six brothers and three sisters. In the rural south, large families used to be common because lots of children were needed to work the farm. Anyway, when I was four years old, my family, to the urban northeast by one of my brothers. We moved away from the cotton fields and brutal, labored existence. If we hadn’t moved, I have no idea who I would have become. Back then, especially among the poor, on farms working the crops was more important than education. Fast forward to today, a bunch of school, several jobs and a decade or two later and viola, here I am. I’m an author. And as for why I write, I don’t want to sound cliché. 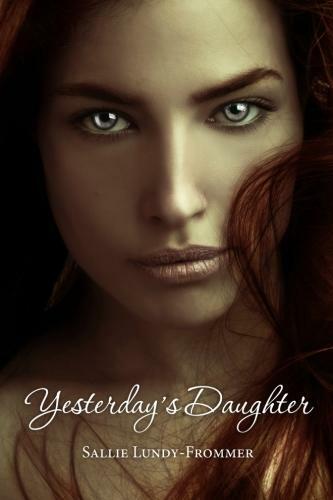 But, I wrote “Yesterday’s Daughter” because the story was in me, just hankering to get out. Yes, you can ignore the push to write. I did for years because I didn’t think of myself as a writer. I have many favorite authors that I like equally but for different reasons. So instead of naming one favorite author, I’m naming a few. Some of my favorite authors are J. R. Ward, Jean Auel, Charlotte Bronte, Jane Austen, Christine Feehan, Sir. Arthur Conan Doyle, Jeaniene Frost, Dee Henderson, Stephen King, Larry McMurthry, Nalini Singh, George Shuman and Jhumpa Lahiri. Big time yes, I listen to music, but no particular style. My tastes are very eclectic. Motown, country, opera, pop, funk, alterative, blues…love them and more. Music inspires me in that it effects my mood which might overflow into the development of sentence or sense. I think sometimes it happens only on a subconscious level but other times I’m very aware of a song or melody influencing me. Coffee…(lol) Fuel…I can only say the voices and dreams, does that mean I need a shrink? (*big grin*) I see scenes in my dreams and hear conversations between characters and start writing following their lead. There’s no conscious inspiration or source of fuel, just dreams and voices. The traditional publishing machine makes it nearly impossible for new authors to get noticed, to get an agent or a publishing deal. So, l learned about self-publishing. It’s been quite the adventure and challenge since I knew “zero” about self-publishing prior to writing Yesterday’s Daughter. What do you think of being an author? Writing, for me, is an unexpected and adventurous experience. But now it’s part of me. The characters, the stories, they take me to places and times where I meet supernatural beings, help combat evil and make friends. Being able to tell Malachi and Sapphira’s story has been a magical gift for me. So for those with a hanker write, I say do it. Write your book, write your poems and novellas. And I’d suggest getting to know other writers. Surround yourself with those who know the craft. Join writers’ blogs and websites. And of most importance, write anything and everything in your heart. It took just about a year to write the first draft of Yesterday’s Daughter. Then it took about four or five months of re-writing and tweaking to finish up. Now a lot of people think that being a published author makes you “holier than thou”, for lack of a better term. How do you feel about being a “published” author? Nothing holy here, I’m just surprised and proud of myself. I love traveling, although I have done much of it lately. When I’m at home, I like to garden. I have tons of plants and each one has a name. And yes, I do talk to them. I enjoy going to bookstores even if I’m not planning on buying anything. I enjoy being around tons of books. Also, I love going to the movies and Broadway musicals. Oh God, I love all things pasta! If I had to pick only one pasta dish, it would have to be lasagna. What’s not to love? Relatable characters are a must for a good story. Good stories need characters with whom the reader can become emotionally invested. If readers don’t care about the characters, they’re not going to finish the book. This emotional attachment draws them in and then you sustain their interest with action and suspense. I like both…but, I’d really like a dog, first. I like both…I’m a coffee drinker in the morning and a tea drinker in the evening or if I’m not feeling well. Milk Chocolate without a question!!!! Flowers…but I like rocks too. Sometimes I see a pretty stone while walking and bring it home to place in a pot with one of my plants. Both….But sometimes you want the texture and feel that you only get with a crayon. Both….depends on what I’m writing. intense that Grace trembled. “Will you sit with me?” he asked. secrets that he’d waited decades to tell her. “You will find it very difficult to believe and accept what I have to say. fear, but out of hope.